STCDO Pricing Engine | Single-Tranche CDO Pricing | SciComp Inc. 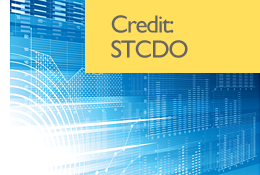 The STCDO (single-tranche collateralized debt obligation) Pricing Engine employs a Gaussian copula framework with stochastic recovery, semi-analytic method, including an internal credit default swap (CDS) calibration to extract the hazard rates from CDS quotes and a CDO calibration to extract base correlations from a standard credit index (e.g., DJ Itraxx). Arbitrary number of names in the CDO and their corresponding portfolio weights. CDS spreads (or coupons) and upfront points for each name in the CDO. Discrete levels of stochastic recovery for each name and the corresponding probability level. Coupon date and maturity date adjustments, roll conventions, choice of day count basis and holiday calendar support. GPU-enabled— takes advantage of NVIDIA graphics processors and delivers much faster accelerations than serial code. No CUDA or parallel programming expertise needed. Like all SciComp Consulting solutions the STCDO Pricing Engine can be enhanced/modified to meet any particular modeling needs you may have and is available as C/C++ source code, Windows/Linux executable, or a ready-to-use Excel spreadsheet and add-in. Need more information on the STCDO Pricing Engine?